A group of Native American elders speak about prophecy and the process of decline that humanity is currently experiencing. Many Native tribes refer to the day Columbus arrived in what is now known as the United States, as the start of the first world war. A battle which would turn human beings against mother nature. 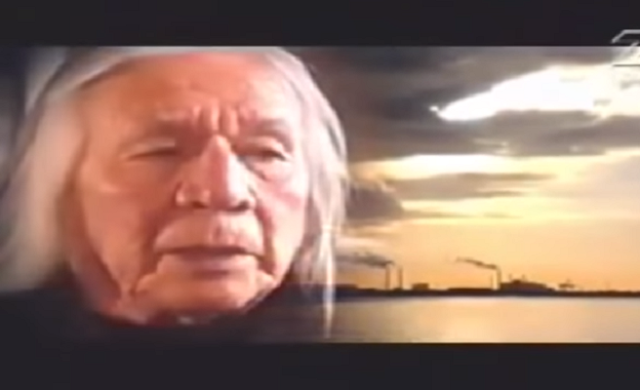 The figures vary from different sources, but in this film one of the Elders say the population of Natives went from 60 million to just 800,000, in an attempt to wipe them out. In the film the Elders explain how the US is actually coming to an end due to the lost spiritual connection with Earth, and how ancient prophecy has predicted this downfall. The natives believe that to live on Earth in peace we need to give more than we take and be in a symbiotic relationship with the planet. In recent times we have seen an increase in natural disasters, such as floods and icebergs melting, this was all a part of the prophecy mentioned. This may sound like we are moving in a negative direction, however this only depends on the relationship one has with death and the prophets believe it to merely be the next stage in evolution.